Overwhelmed by so many choices on the market? 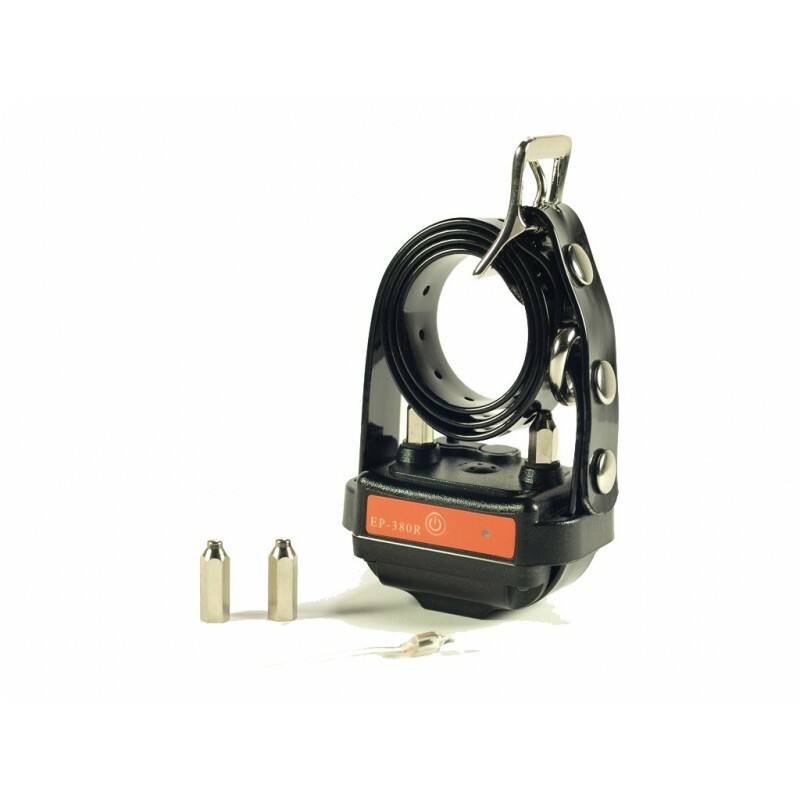 Picking the correct remote dog training collar for you and your dog can be a very daunting task. 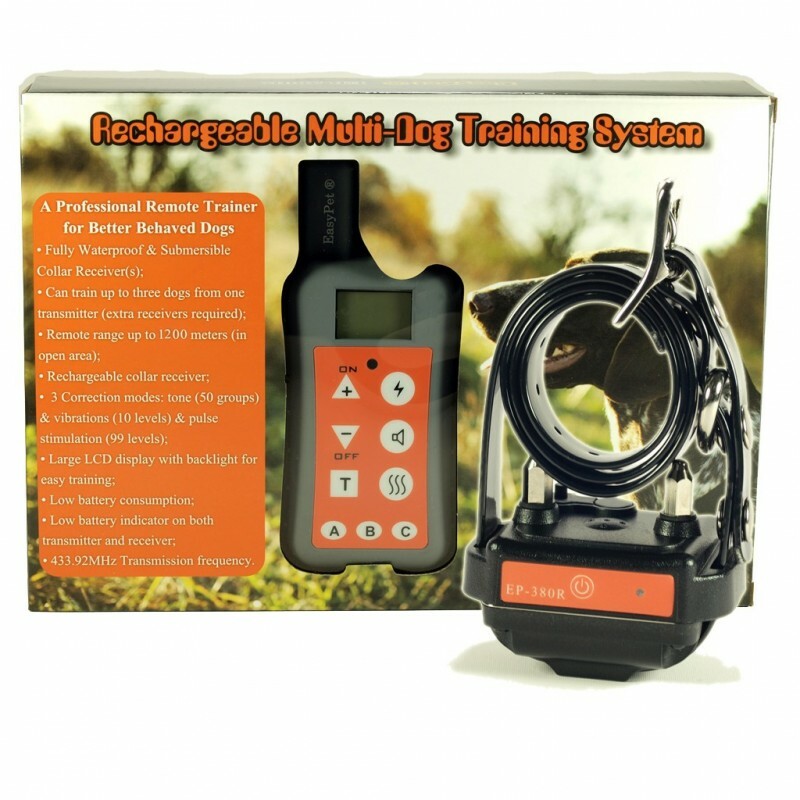 At EasyPet®, we are gladly offering you with our latest version of EP-380R, a simple, effective and quality remote dog training system that is competitively priced without blowing your budget. 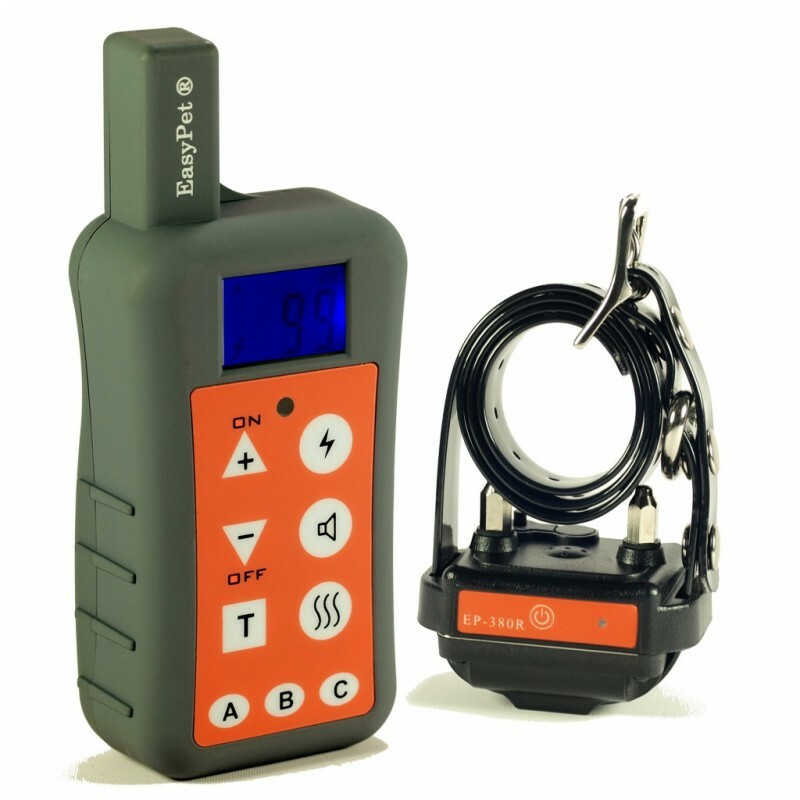 EP-380R is an extremely safe training tool to effectively help you teach your dog basic obedience commands, solve your dog's behaviour problems and train your dog almost anything! We are a private limited company in England with VAT registered. Being a small & honest family run business based in Maidenhead Berkshire, we're financially and emotionally invested in our business and we take care of our customers with much more care than other non-family competitors. We will go the extra mile to meet customer's needs and resolve any complaints. You are welcome to contact us with any queries via eBay messaging service and we will reply to you within the same working day. If you are not completely satisfied with the product, we promise to give you no-quibble money back guarantee. When you make an order with us, you are not just purchasing our quality products but also our premium customer service. 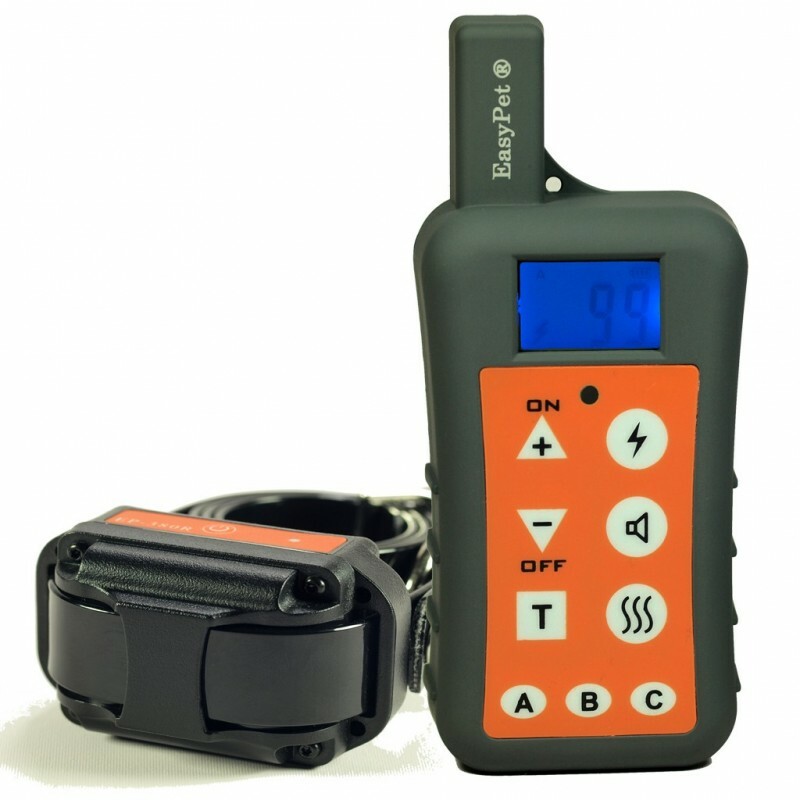 ★ Our top quality EasyPet® EP-380R Remote Dog Training Collar is a very effective multi-dog training system (Note: this is 1 dog listing, up to 3 dogs & extra receivers required), which provide all of the features for reliable, safe and humane training you want in a companion dog trainer. 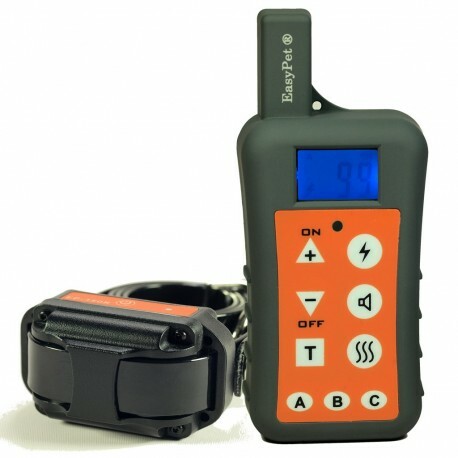 It features an easy-to-use RECHARGEABLE TRANSMITTER with large LCD display (& backlight function), a SMALL,RECHARGEABLE & FULLY SUBMERSIBLE COLLAR RECIEVER, 50 groups of warning tones (of different frequencies), 10 levels of vibration corrections, 99 levels of static pulse stimulation corrections (The static stimulation at Level 1 is very mild for sensitive healthy dogs. Level 99 is a lot stronger compared to Level 1 for stubborn healthy dogs.). BOTH CE CERTIFIED AND ROHS APPROVED. ★ This is the latest version of EP-380R with a newly designed collar receiver and remote range can go up to 1200METERS in open fields. 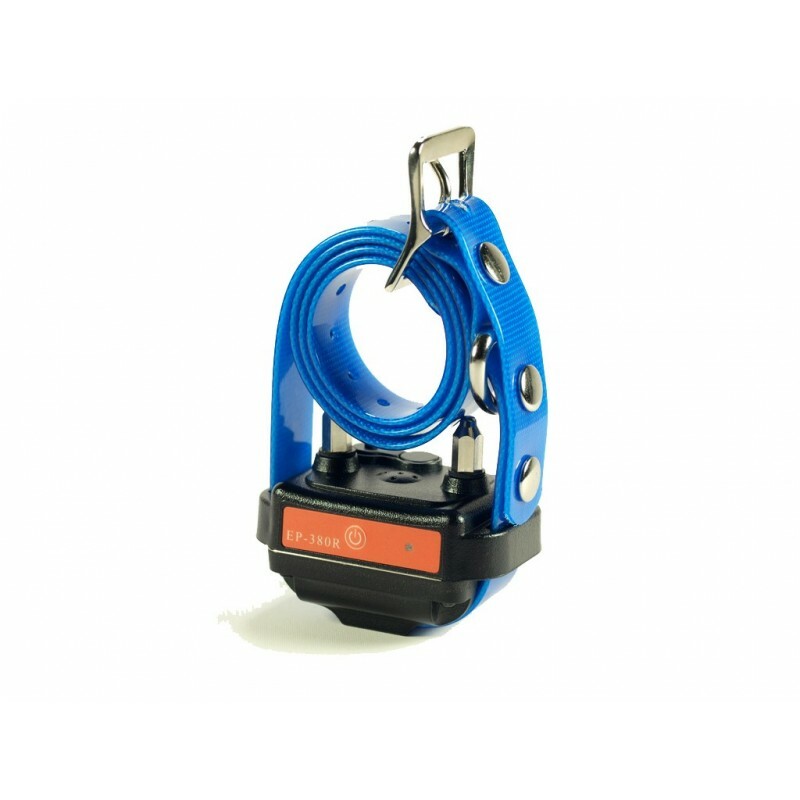 The new collar receiver is SMALL IN SIZE (approx 4.5cm*3.7cm*3cm, L*W*H, L excluding brackets) but the small size does not reduce the effectiveness of corrections on large dogs. 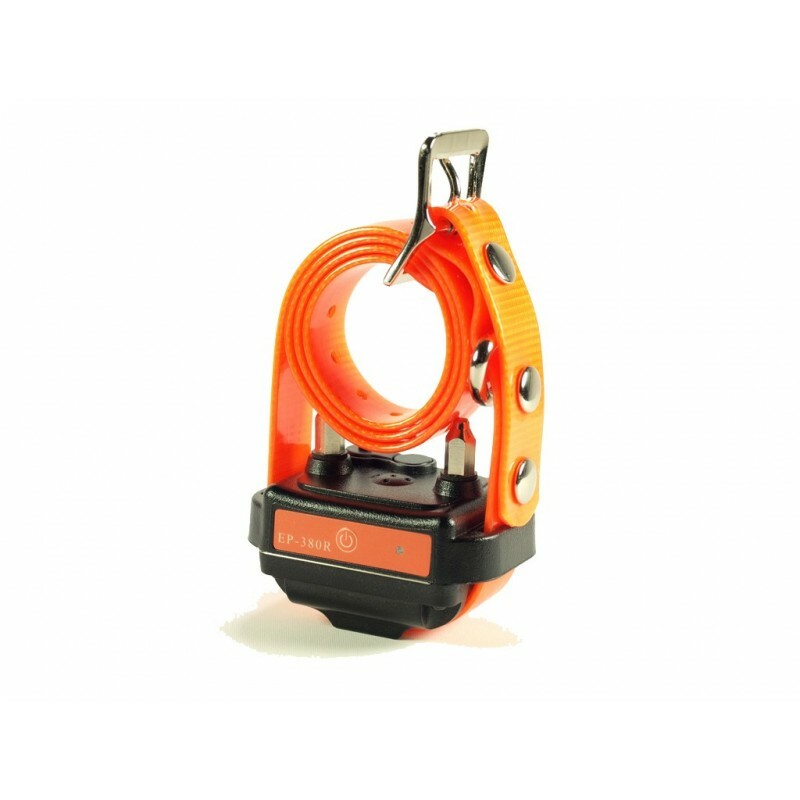 ★The collar receiver is solid built, rechargeable and fully waterproof / submersible and your dog can wear it for any out-door training. 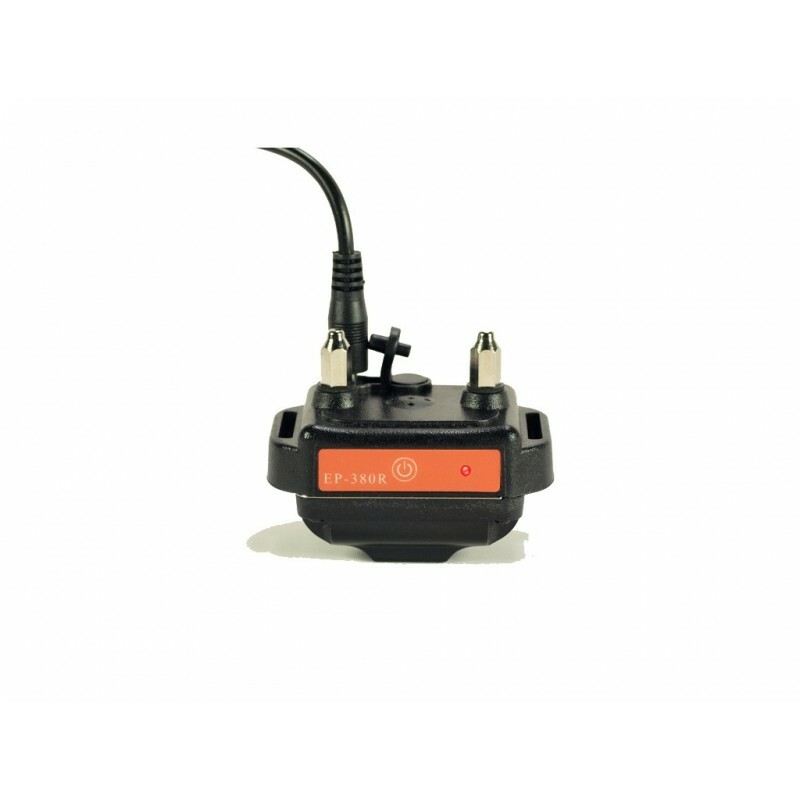 It comes with a large capacity rechargeable battery and is fully compatible with the previous version (Note: Charger plug is different: new receiver: output: 5V1A---- previous receiver: output: 12V1A). 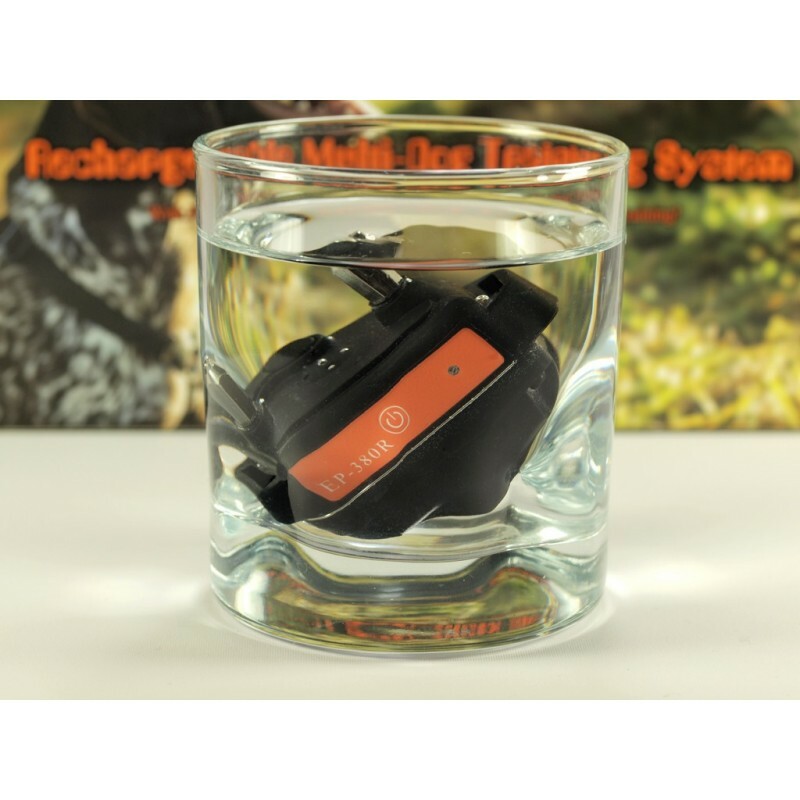 ★ The handset transmitter is rechargeable (new output: 5V1A) and water-resistant (not submersible). It is rubber-coated with backlight function and large buttons for comfortable and convenient use. 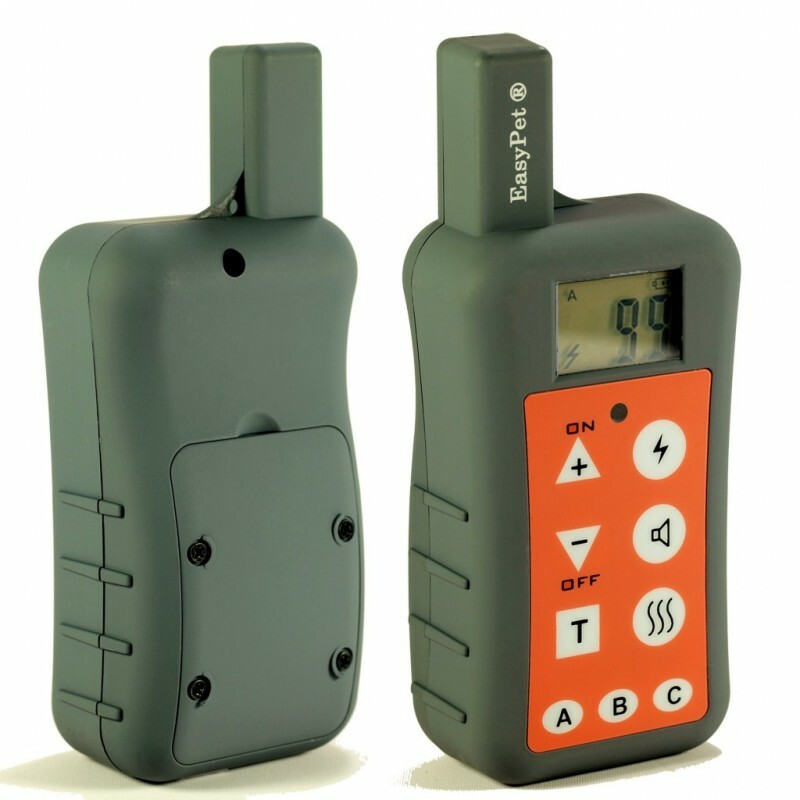 ★EasyPet® EP-380R is a simple and effective dog training tool in the palm of your hand. It can help you teach your dog basic obedience commands and stop behaviours like digging, jumping, eating poo, chasing sheep, bark controlling, and a lot more. The real beauty of EP-380R is that by using it correctly, you can lower the number of corrections needed and also lower the intensity of the correction. You can also take out the "human" element of the correction. Since you can correct the dog at 1200 meters (in open fields) with a collar receiver, you don't need to run him down in order to make a physical correction! ★Warning Tone Correction: There are 50 groups of warning tones in different frequencies. Each warning tone is about 2 second long beeping in different frequency. These can be used for praise and warning for your dog. ★Vibration Correction: There are 10 levels of vibration corrections. Level 1 is the weakest one and level 10 is the strongest one. These can be used for silent warning or recall. ★Static Pulse Stimulation Correction: There are 99 levels of static pulse stimulation corrections. They are divided into 10 different groups of intensity (from mildest to strongest). Each correction group is again divided into 10 types of correction with different correction durations (from 200ms/0.2 second to 2 seconds. Within the same group, each higher level will have about 0.2 second increased on correction duration). For example, Level 1 has the mildest static pulse stimulation intensity and the shortest correction duration (200ms/0.2 seconds), Level 2 will have the same intensity as Level 1 but the correction duration will be about 0.4 second - about 0.2 second longer than Level 1. While at Level 10, it still has the same mildest static pulse intensity (same as Level 1) but with the longest correction duration (2 seconds). From Level 11, the intensity will be increased to a slightly higher level than the one of Level 1 to Level 10, and the correction duration again is back to the shortest one (200ms/0.2 second), while Level 20 will have the same intensity as Level 11 but has the longest correction duration (2 seconds). From Level 90 to Level 99, it has the strongest static pulse stimulation intensity again with different correction durations (from 200ms/0.2 second to 2 seconds). ★Can train up to 3 dogs from 1 transmitter (Note: Extra receivers will be required for multi-dog training. This listing is for a one dog training system. 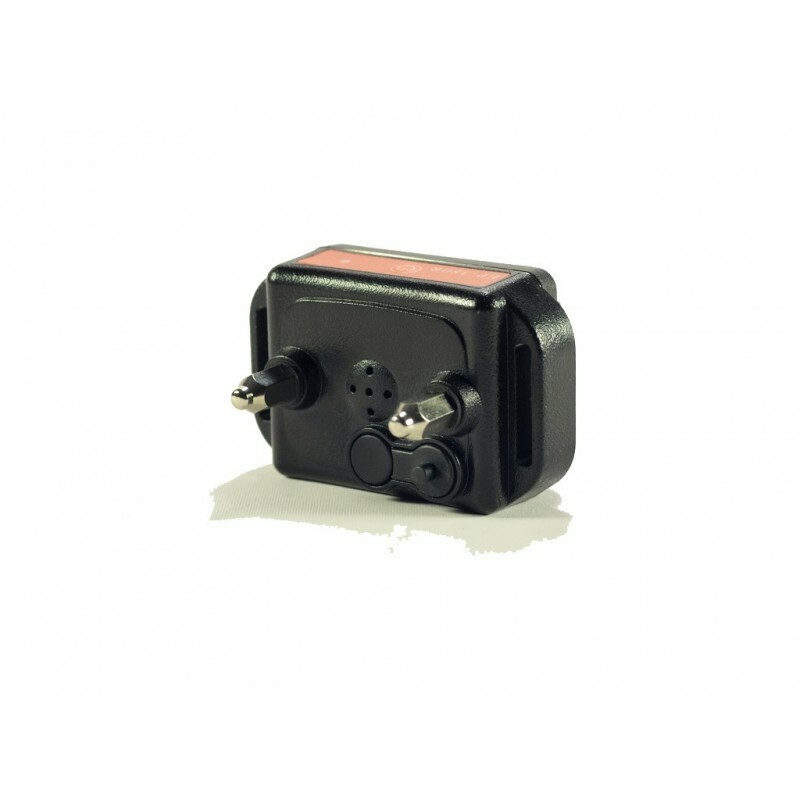 ★ Low battery indicator on both transmitter and receiver. IMPORTANT! ★Shock collars are NOT allowed and are illegal to use in Wales area and in some European countries. It will be buyer's sole responsibility to decide what type of training collar they are going to use on their dogs. ★This system is ONLY suitable for healthy dogs of over 6 months old. ★ We do NOT recommend any of our pet training products to be used on aggressive dogs. We recommend you to consult your local veterinarian or professional trainer to determine if your dog might be aggressive. 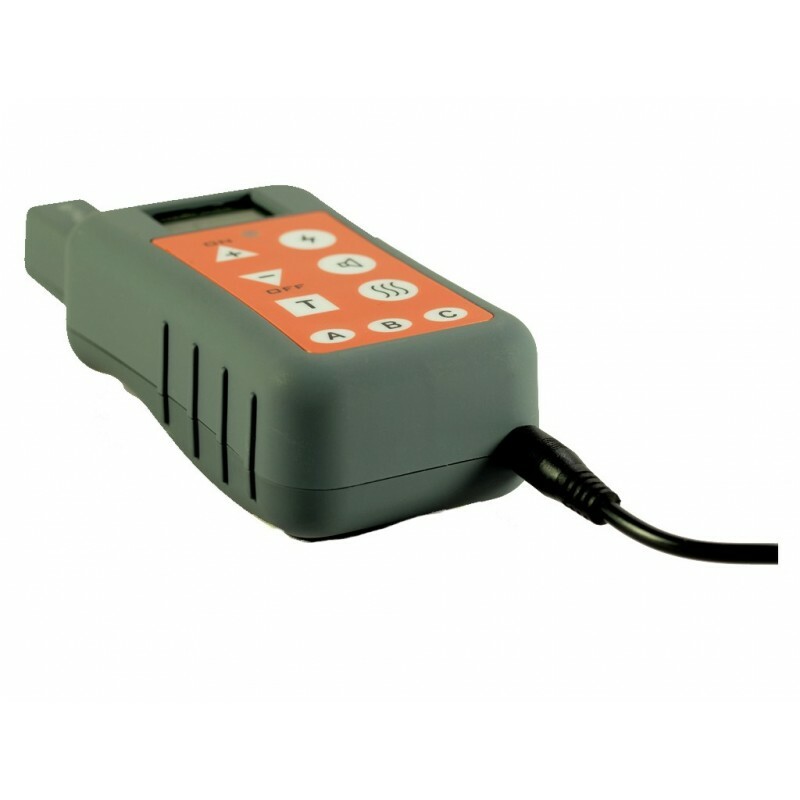 ★As this product is a wireless transmitting apparatus, you must NOT use the remote control system in places like petrol stations or hospitals where mobile phones are prohibited. For patients using heart pacemakers, please consult your doctor before using this device. ★For pet training purpose only. 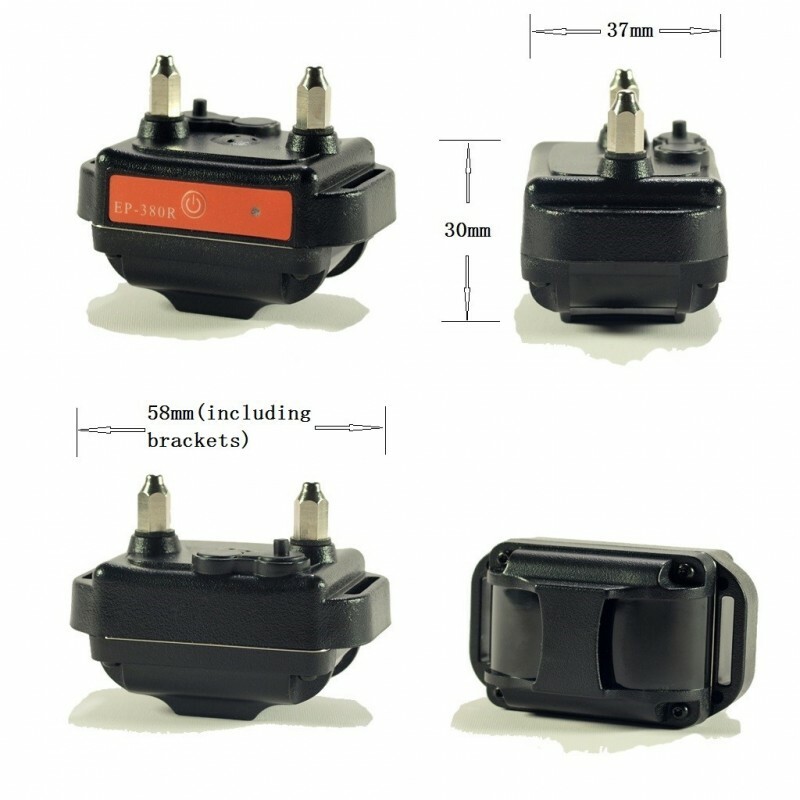 Please contact us for a pair of plastic prongs if you would like to fully disable the shock function. 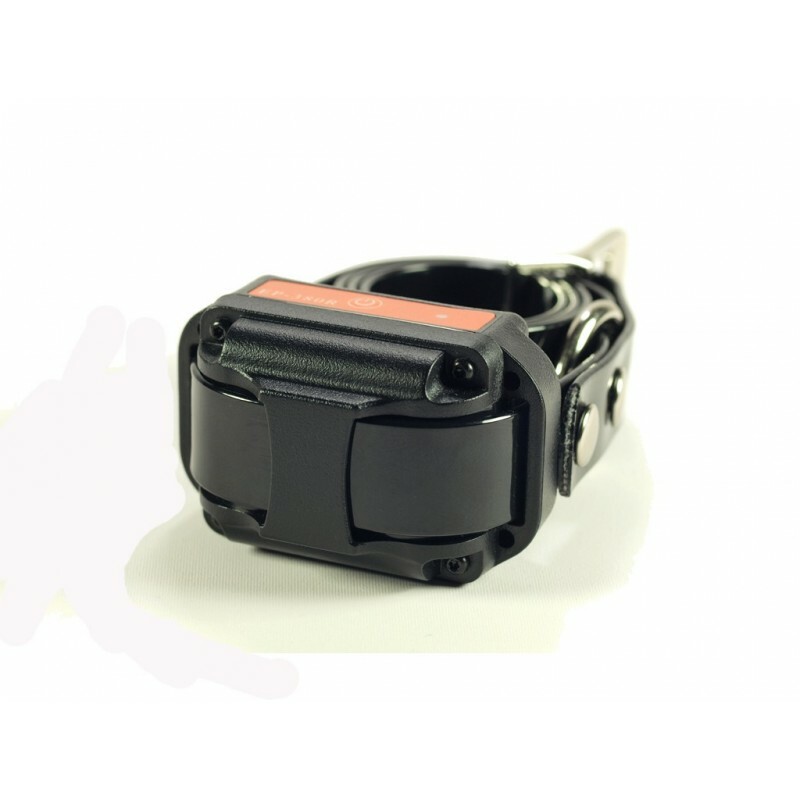 ★Collar strap is made of high quality TPU(Polyurethane) coated nylon webbing. It is strong, robust and waterproof. BLACK strap will be sent out by default for one dog system. ★1 x Detailed User's manual (English). 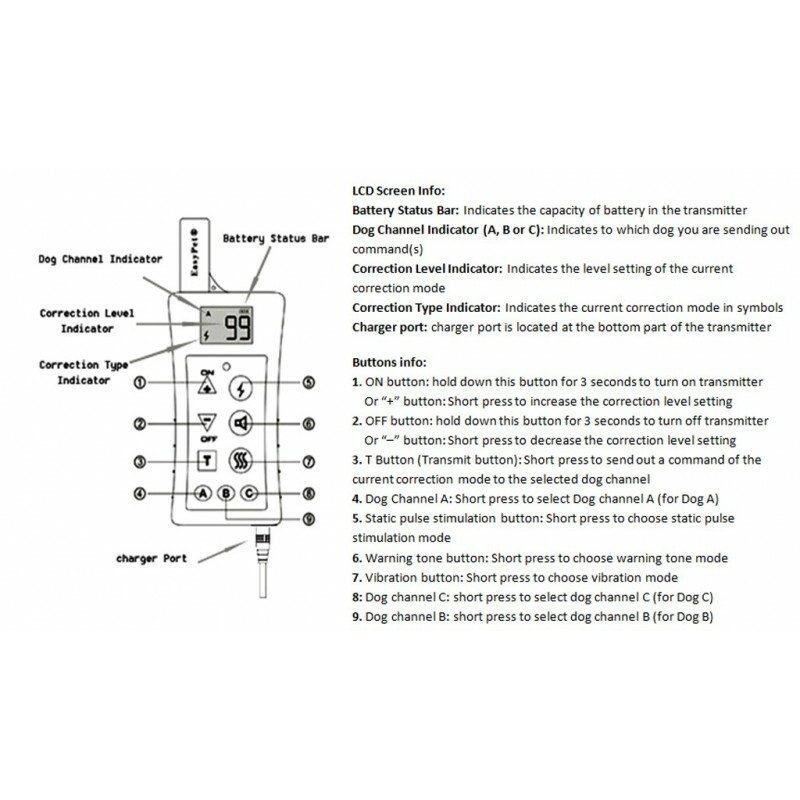 For EP-380R model, we have set static stimulation at Level 1 to be extremely mild so that it can be used on sensitive healthy dogs. Level 99 will be a lot stronger compared to Level 1 so that it can also be used on stubborn healthy dogs.